Our Controlled Release Micro-Biocide eliminates unexpected overflows. Choose size based on HVAC system tonnage and 3 or 6 month treatment. Details below in full description. Algae Guard is our controlled release micro-biocide that eliminates unexpected overflows. 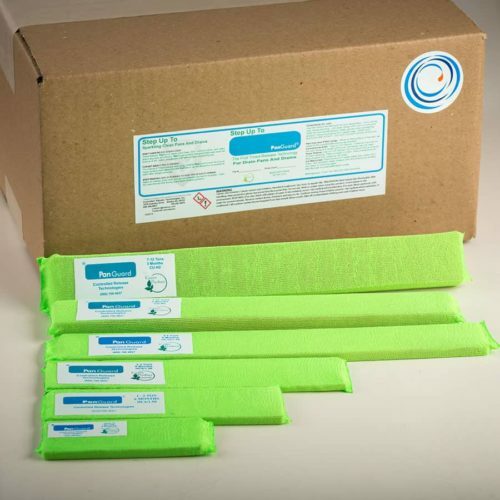 Algae Guard easily fits into air conditioner or refrigeration drain pans, and other drain openings controlling the growth of bacteria in these areas. Algae Guard Drain HVAC Biocide is a controlled-released polymer system specifically for use in drain pans. Contains high performance cleaning agents to help stop dirt and slime from settling on surfaces. EPA Registered. Effective against algae, mildew, slime, fungus and bacteria in condensate collection pans and air conditioning units. 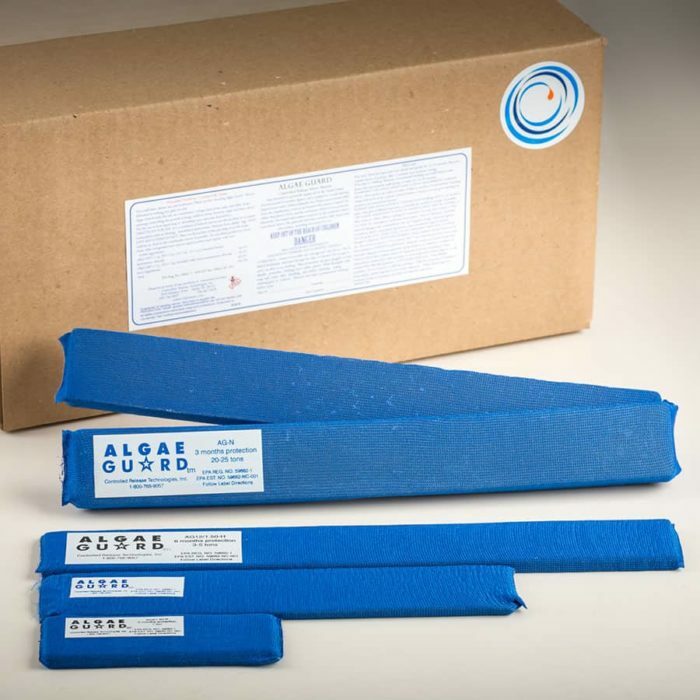 NOTE: Algae Guard can not be shipped to residential addresses, only business addresses. Product packaged for commercial use only and not available for consumer use.